Gardens located throughout the yard and landscape offers a large variety of options to choose from. Planting flowers, shrubs, decorative grasses, as well as creating lines and height will highlight your garden more than just having pretty flowers. 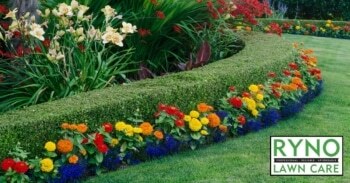 Ryno Lawn Care will install edging and build raised flower or garden beds. We also plant flowers, shrubs and many types grasses and ground covers. 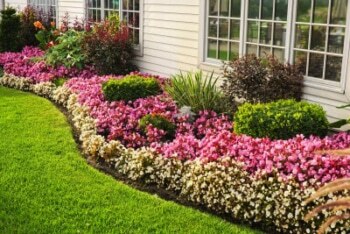 Keep your landscaping looking it best with Ryno Lawn Care’s Garden Landscaping.